HARVEST OF HOPE - Conquering Brain Cancer | GOD Who Are You? AND Who Am I? CLICK ON THE BOOK above to be taken to Amazon for purchase. This site contains affiliate links where the publisher can obtain a small commission without any extra cost to you or the author. Thank you. BARBARA RAMSEY knew from childhood on that she would someday write a book. As an avid reader all her life, years passed, and the main subject of that book kept evading her. Until . . . one defining day in June 2010, when brain cancer rudely crashed into the middle of her normal existence, creating a jolting crisis of faith. Suddenly, the rug was jerked right from under her and her husband Jim’s very strong capable feet. Within a few days, they no longer had a secure job, home, or financial future. Their vocabulary quickly changed from farming terms and simple faith to words like: glioblastoma multiforme brain cancer; radiation and chemotherapy treatment; biopsy; neurology; and other foreign hospital terms. From the beginning of the terminal diagnosis, they fought for the best quality of life possible. This goal led them to treatment by proton beam radiation therapy at ProCure Proton Therapy Center — which is now the Oklahoma Proton Center. While dealing with the shock of cancer, they also battled a big health insurance company through many processes of appeals. After treatment, they dealt with the struggle of advancing brain cancer symptoms and the changed dynamic of the relationship between a husband and wife. This book brings the reader along for the exhilarating, painful, miraculous ride. 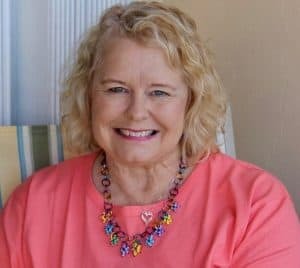 WHILE WRITING THE BOOK she was destined to write, Barbara Ramsey also met and married her current husband, also an author. They live in the Midwest and enjoy golf, traveling, and most of all, spending quality time with their children and grandchildren. She is open to the possibility that God has another book for her to write in the near future. If this book touched your life, you can contact her at bramsey0208@gmail.com.